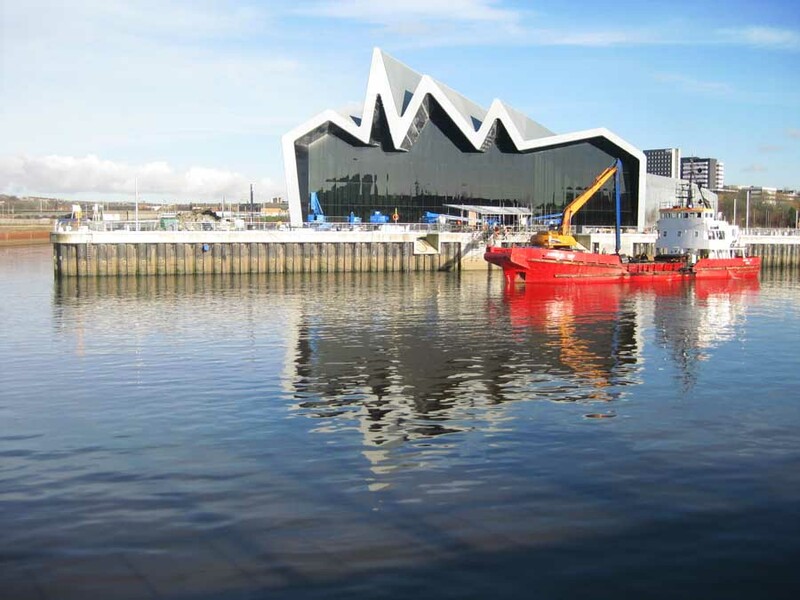 As part of European Heritage Days, Glasgow Doors Open Day is an annual, city-wide, Built Heritage Festival which takes place in the third weekend of September. The event consists of around 100 buildings opening their doors and allowing the public to access, discover and learn about them with no entrance costs. 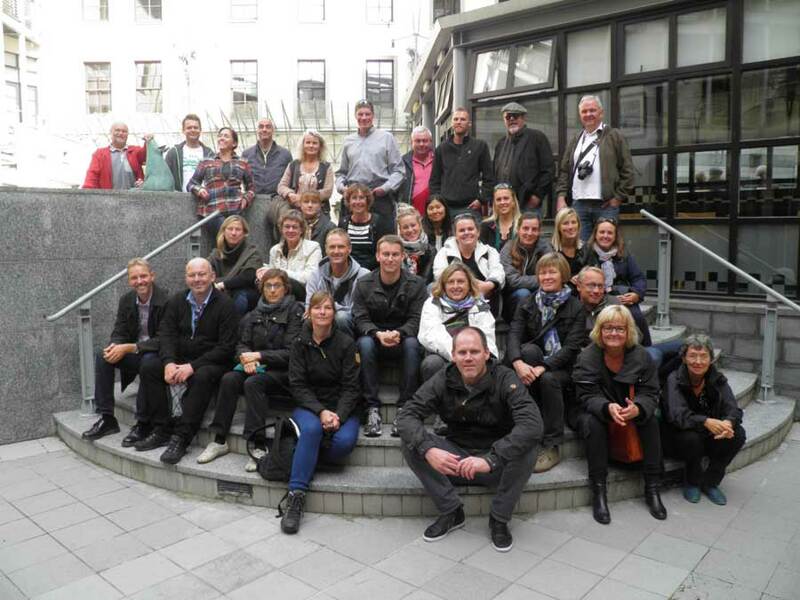 The event also includes tours in local areas, lead by voluntary tour guides with knowledge in the specific subject/area. These tours take the form of walks, bus and subway rides. Additionally, talks (including Neil Baxter’s, now traditional lecture) and special events are organised. A celebration of Andy’s life is planned for Sunday 21st September. A collection will be taken at the event to support the St Brides Tower Restoration Fund. This one-day symposium focuses on the development and outputs of the major research project, ‘Mackintosh Architecture: Context, Making and Meaning’. 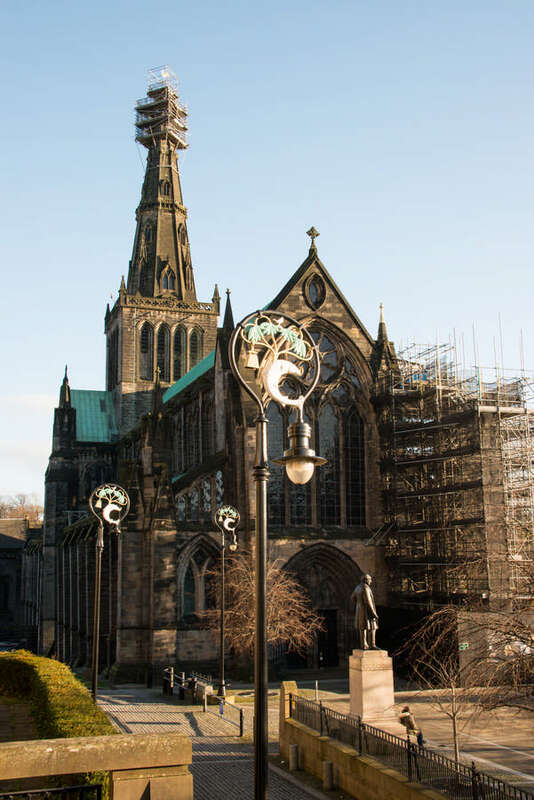 Speakers include the research team, Pamela Robertson, Joseph Sharples, and Nicky Imrie; and presentations by Roger Billcliffe, Ranald MacInnes, Historic Scotland, David Stark FRIAS, formerly Keppie Design, and William Kilbride, Digital Preservation Coalition. Funded by the Arts and Humanities Research Council. Organised in association with the Charles Rennie Mackintosh Society. Here is a comment by Scottish architect Alan Dunlop (based in Glasgow), on Scottish architecture issues. “At present we have a Scottish architecture policy built on a failing public procurement system, in desperate need of reform. Scottish architects have always needed to look outwards and a more unique and distinct identity might assist this effort. A Yes vote could bring with it a surge of confidence in Scottish identity and culture, which might lead to a renewal in the arts in general and architecture in particular. This referendum, however is not about architecture, nor Scottish Nationalism nor any perceived dislike of England. It is about self-determination. If the answer is Yes on September 19th then we can expect a massive change to be made in almost every aspect of life which will require that Scots and all the people who live and work in Scotland can take control of their own political system and finances and choose how we are to be governed. A No, will mean that many bridges have been burned but there is no way to return to the status quo ante. A close outcome will mean that the question will not go away. People in all sectors have seen the outline of a different future and understand that they can change. The economy will not collapse if Scotland goes it alone, although there may be shaky times in the London money markets-but they will get over that. There will be currency union because that is the rational, pragmatic outcome required and decisions on projects pending will go ahead. Oil revenues will continue with further development likely off the West Coast once Trident goes, but the value will go to a Scottish purse and for common benefit with the promise of an oil fund. Here is a comment by Scottish architect Alan Dickson (based in Skye), on Scottish architecture issues. “Scottish architecture has never been defined by identity alone. 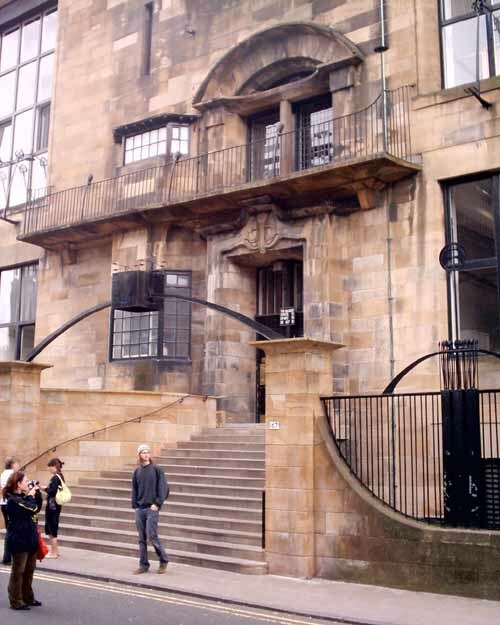 Mackintosh, Thomson, Playfair, Adam, Macmillan and Metzstein were architects with expansive views. It is an architecture uniquely of place, yet curiously influenced by many cultures. This rich architectural legacy has been undertaken for three centuries within an outward looking, enterprising and diverse United Kingdom, and I would argue largely because of it. Post referendum I will be no more, or no less Scottish than I am already. However if it is a yes vote I will feel that I have lost part of my identity, which defines me as much as my home nation. Nationalism is a backward step. It is erecting barriers, physical, cultural and economic, both visible and invisible, that have not existed before. It risks our economic prosperity and will destroy all that is good and essentially optimistic about the UK. Architecture should be defined by landscape, and climate, and culture which will not change post referendum. However it is also defined by prosperity, our ongoing economic recovery will inevitably be stalled, major decisions put on hold, while the politicians scrap over the pieces. I have no doubt that one day, Scotland could and would stand on its own two feet economically, but at what price, and for how much pain and damage over 5, 10 or 20 years. This joint by exhibition of work by the architect, Alan Dunlop and artist, Peter Murray at House for an Art Lover features new drawings and paintings that explore their individual approaches to the urban landscape. 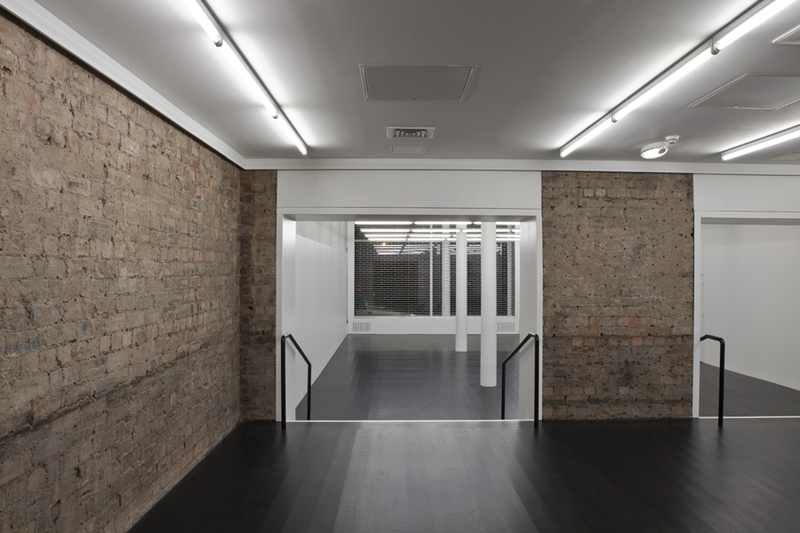 RMJM directors Peter Morrison and Declan Thompson face three years in prison over unpaid wages, reports the Architects Journal. Hong Kong’s Labour Department has launched proceedings against them. Scottish architects seem to favour independence: 59% of the nearly 160 architects who voted in AJ’s recent online survey said they were in favour of the country cutting its ties with the UK. The Architects for Yes (who have set out case for Scots independence) group recently came under fire from architect Richard Murphy. Architects such as Paul Stallan, Alan Dunlop and Peter wilson have come out for the Yes campaign and architects such as Richard Murphy, Alan Dickson and Lee Ivett for the No campaign. 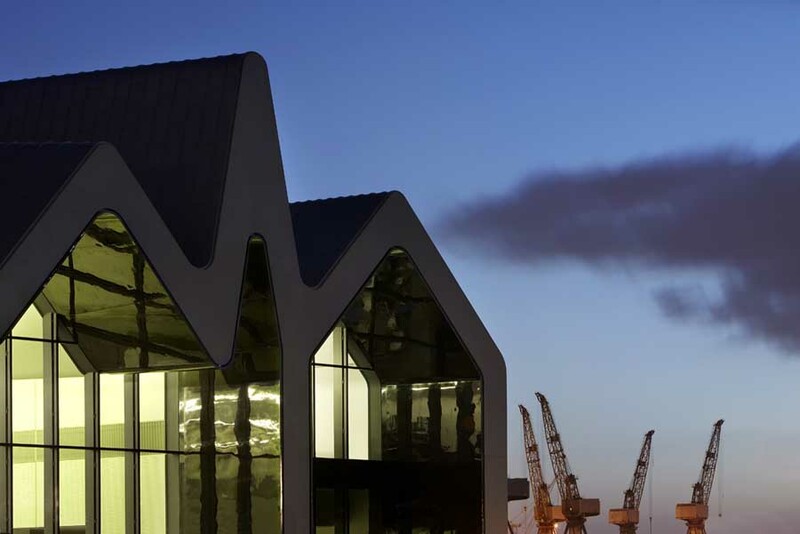 Glasgow City Heritage Trust, in collaboration with Architecture and Design Scotland and The Lighthouse are happy to announce The Commonwealth Lecture Series. Speakers are traveling from various countries to speak at the series, which will primarily focus on placemaking and sustainability. Lectures will cover a wide range of innovative and exciting topics. The lectures are free to GCHT Friends or £5 donation for non-friends. Please note, booking is essential. To book please email: info(at)glasgowheritage.org.uk or call 0141 552 1331. Steven Holl Architects in collaboration with Spirit of Space has created two short films on the Reid Building at The Glasgow School of Art, which opened in April 2014. The film series explores the complementary contrast of the new Reid Building and Charles Rennie Mackintosh’s 1909 Glasgow School of Art, where each work of architecture heightens the integral qualities of the other. 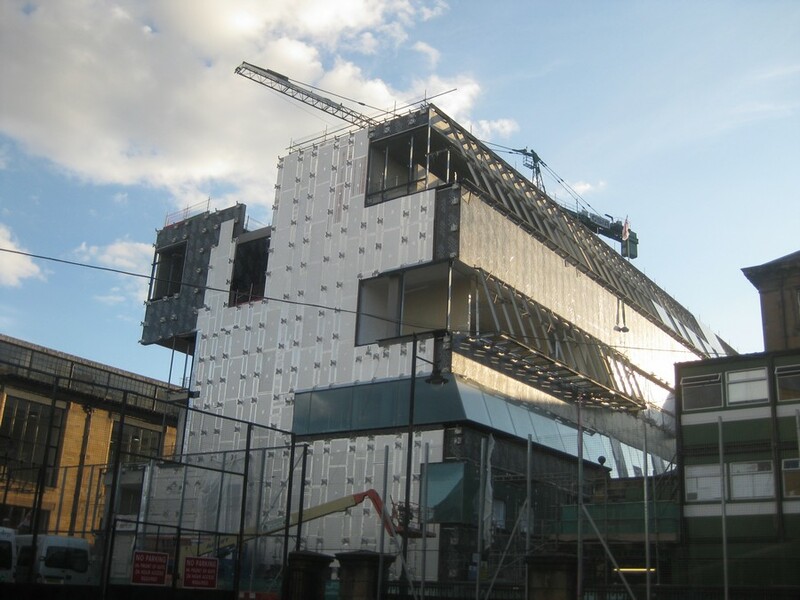 The first film features Steven Holl and Chris McVoy discussing the design of the Reid Building, and its symbiotic relation to Mackintosh’s School of Art. The second film takes the viewers on a poetic climb up and through the social circuit, which purposefully encourages inter-disciplinary activity, with the hope to inspire positive energy for the future of art. Architecture and Design Scotland curate Pretty Vacant at The Whisky Bond where a range of speakers will give their own take on transforming vacant space, animating public space and urban food growing. As many of you know, PechaKucha is a simple idea: 20 images for 20 seconds each making talks that last just under 7 minutes. It’s a format that keeps things concise and moving at a rapid pace. The Glasgow Institute of Architects is pleased to announce an architectural design competition in partnership with Springburn Winter Gardens Trust. 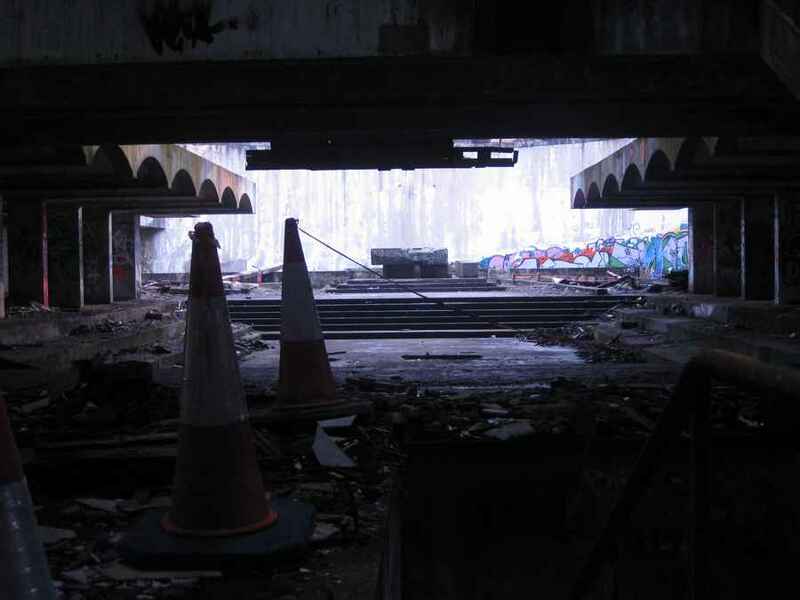 The competition is titled, “An intervention at Springburn Winter Gardens; to provide a place where people can gather and share collective memories.” The competition is now live on the GIA website. This competition is in partnership with MAKlab. In an innovative twist, all intervention designs will be 3D digitally printed. 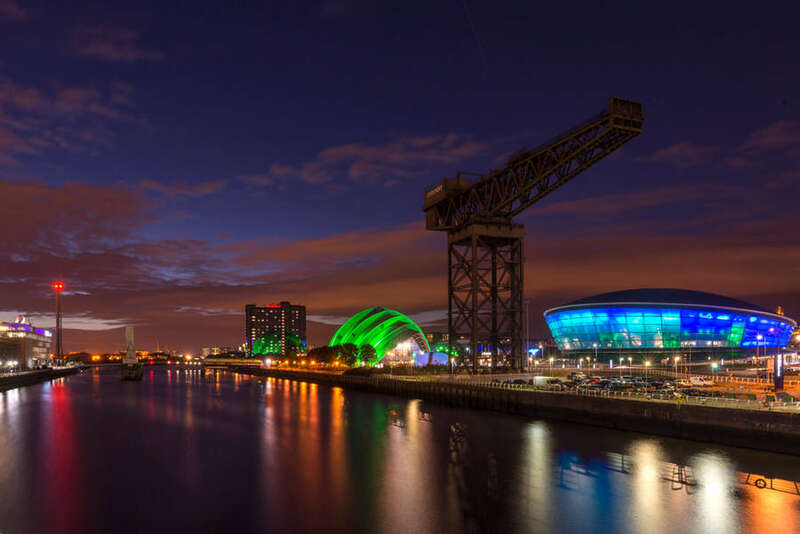 The GIA hopes that this competition will provide an opportunity for architects to experiment and trial contemporary digital media with a Glasgow based company. The submission date has been moved from Thursday 21st August to Thursday 28th August at midday. “It is with very great sadness that the Royal Incorporation notifies its members and friends of the death of Professor Andrew (Andy) MacMillan. “Andy was a great architect, an educator of international renown and one of the finest human beings it has been my privilege to know. His influence on generations of students at the Mackintosh School of Architecture and in the many other institutions where he taught, was immense. All entries will be available to view on the website from 1st September 2014. The GIA Design Awards are sponsored by Lightworks Scotland. The annual GIA Awards are recognised at local and national level and are one of the main highlights of the annual GIA programme. All entries will be featured on the GIA website and selected entries will feature in the GIA Annual Awards Publication. The Supreme Award winner, Awards winners and Commendations will be announced at the GIA Annual Members Dinner on 14 November 2014. All entries will be considered for additional awards – The GIA Sustainability Award and the GIA Supreme Award. The awards are open to Chartered Architects, individuals or practices based in the GIA Chapter area. They are also open to practices that are not members of the GIA but have completed buildings within the GIA Chapter area. Buildings should be complete at the time of entry submission (completion between June 2013 and August 2014). 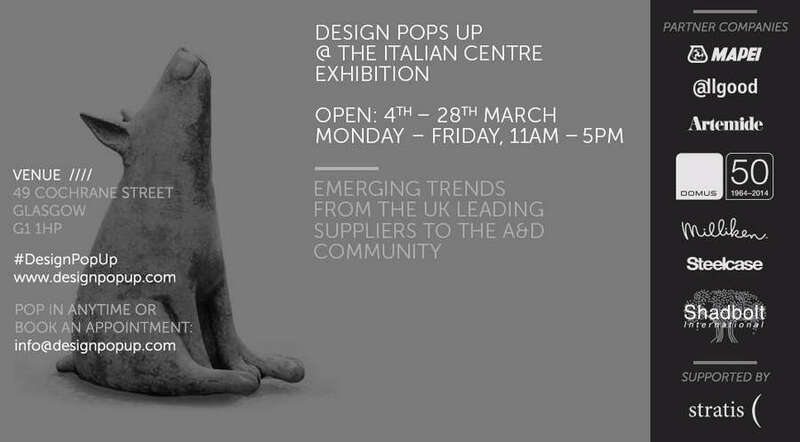 For full entry details please visit the GIA web page. Up to 6 images can be submitted. The entry fee is £59.99 per submission. Judges will be assessing entries against the criteria of ‘good architecture and buildings, whether new or adapted, which express good design in terms of function and effectiveness as well as aesthetics’. The deadline for entries was 22nd August 2014. Projects should have been completed between 31 March 2013 and 1 August 2104 within the SSA Chapter Area (Stirling, Falkirk and Clackmannanshire). The winning designers and client will receive a certificate confirming the award. Submission to be in the form of artwork for an A1 landscape format presentation board (.pdf format). File size not to exceed 10Mb and be submitted by email to the address below. Submissions to include information on design team members and construction cost, location plan and scheme design/planning drawings. Following the success of the Architect in the House scheme, which has now come to an end, the RIAS has decided to launch a similar Scottish based scheme to raise money for the Architects Benevolent Society (ABS). The ABS cares for architects, assistants, technologists and landscape architects and their dependants providing practical and financial help to people of all ages who have experienced redundancy, illness, accident or bereavement. RIAS chartered architects can help the Architects Benevolent Society (ABS) make a lasting difference to the lives of architects and their families in need by giving an hour of their time by signing up to Architect in the Hoose. You might even get a job out of it. The mechanics are simple – you get matched with a homeowner in your area looking to improve or expand. You give them a free 60 minute consultation and they make a suggested donation of £25 to ABS. Your Architect in the Hoose consultation could of course lead to a paid commission. Registration opens on 4th August and matching will take place continuously until the end of September. Consultations should take place by the 30th November 2014. If you would like to sign up – please go to www.rias.org.uk/architectinthehoose and download a registration form. Alternatively, email Charlene Rankin crankin(at)rias.org.uk for more information. 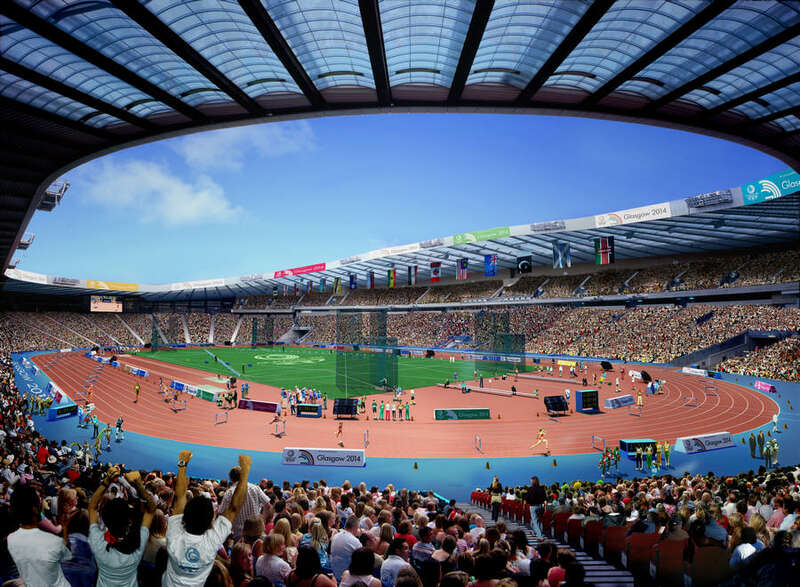 Hampden Park in Glasgow is the Commonwealth Games’ most innovative construction project with its transformation into an IAAF-approved athletics track. On the 19th September the GIA’s team of 10 architect cyclists will attempt to complete a journey of 440 miles in just four days. They will set off from RIAS HQ in Edinburgh and tackle the challenging route to the RIBA building in London, according to the RIAS. The challenge is being led by current GIA President, Michael Dougall and is in support of the Architects Benevolent Society (ABS). The GIA has been a regular benefactor to ABS, the only registered charity in the UK dedicated to helping past and present architects, assistants, AT Professionals and landscape architects and their families. ABS help people of all ages who have experienced illness, accident, redundancy, unemployment, bereavement or other personal misfortune. ABS’s qualified welfare team can advise about state benefits, housing concerns, needs related to care and mobility, respite holidays for carers and much more. Please help to support ABS with a donation through JustGiving. The Royal Incorporation of Architects in Scotland (RIAS) has announced 13 winners, representing the very best of current Scottish architecture, at its annual Awards Dinner held in Glasgow last night. The judging panel included Marjorie Appleton FRIAS, Doug Read PPRIAS, Liz Davidson OBE Hon FRIAS, Craig White RIBA and George Oldham RIAS RIBA, representing the Royal Institute of British Architects. In the third year of the restyled awards the RIAS has again teamed up with Forestry Commission Scotland/Wood for Good and Historic Scotland but also this year with the Scottish Government for our three prestigious sub-category awards. 19 Jun 2014 – At the annual RIAS Awards Dinner in Glasgow last night, Margaret Richards FRIAS was presented with the Lifetime Achievement Award of the Royal Incorporation of Architects in Scotland (RIAS). The Incorporation’s Lifetime Achievement Award is given to those architects who, in the view of the Council of the RIAS, have made an outstanding contribution to architecture in Scotland. 19 Jun 2014 – At the annual RIAS Awards Dinner in Glasgow last night, Cabinet Secretary for Culture and External Affairs, Fiona Hyslop MSP, made a special presentation from the Royal Incorporation of Architects in Scotland (RIAS) to the Scottish Fire and Rescue Service in recognition of their outstanding work at the Glasgow School of Art fire on Friday 23rd May this year. 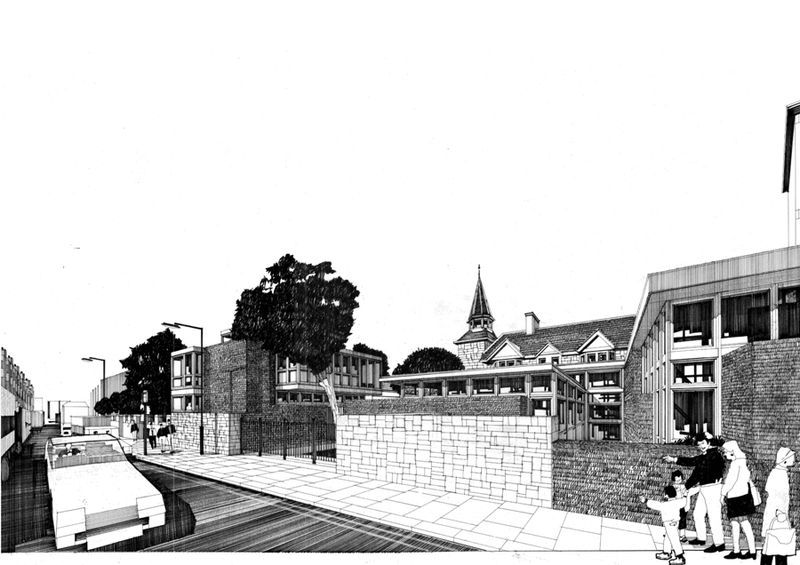 9 Jun 2014 – News online tomorrow from architectural practice Bennetts Associates re work on the plans for a major redevelopment of its iconic Gorbals home. 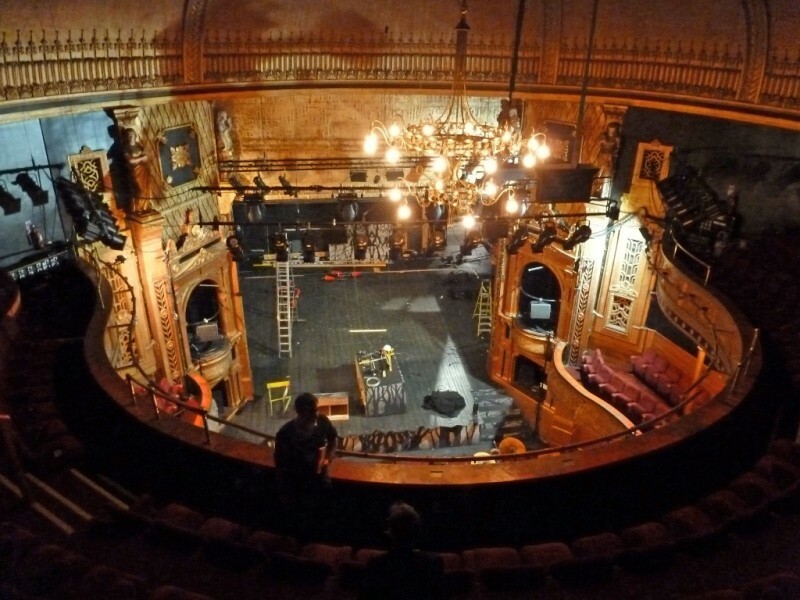 This will be the most comprehensive redevelopment of the building since it opened as a theatre in 1878. 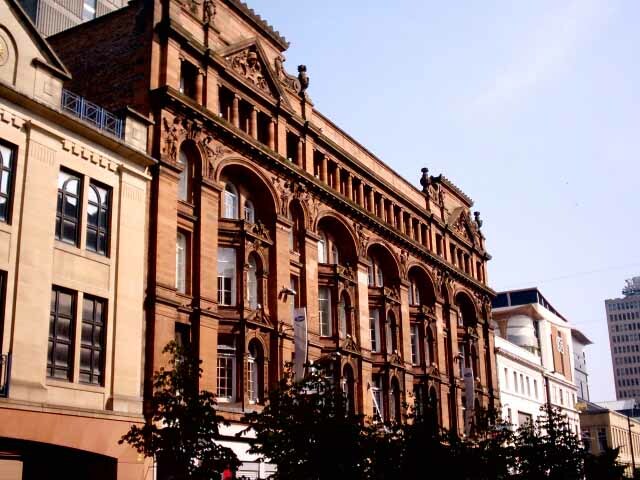 9 Jun 2014 – Selfridges has sold the merchant City site in Glasgow it had earmarked for a £90 million store. The company bought the substantial plot 12 years ago but since then it has been lying derelict. 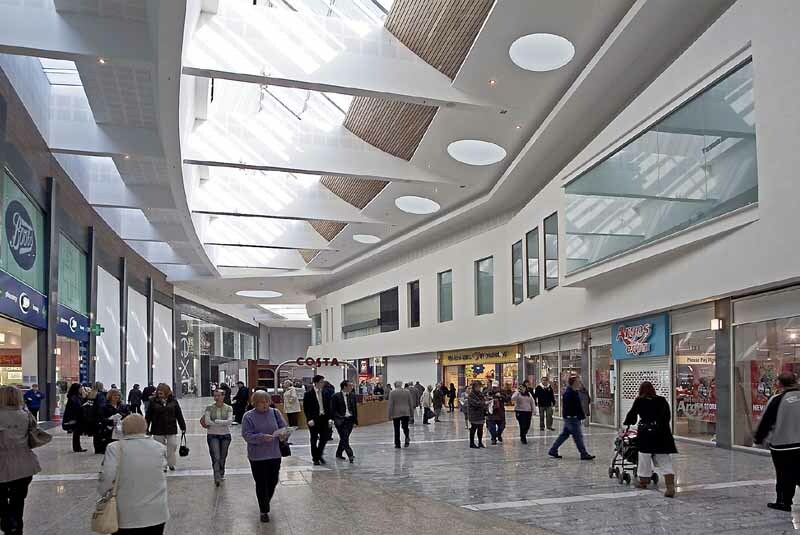 It has now sold it to a joint venture which plans to build high quality flats and shops. Candleriggs is a 50/50 project between the investment arm of mace and funds managed by mercer real Estate Partners. The partnership intends to submit a planning application for the site by the end of this year and will talk to people and businesses to find out their views. 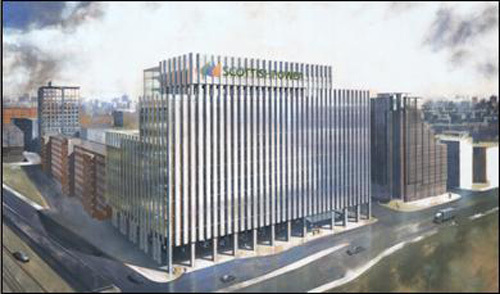 9 Jun 2014 – Work has started on a £75m speculative office, retail and residential development in Edinburgh city centre by Gareth Hoskins Architects + CDA, for Standard Life Investments Pooled Pension Property Fund and joint venture partner Peveril Securities. This property is well positioned on the seventh and eighth floor of a B-Listed red sandstone building by Neil C Duff, dated circa 1901. 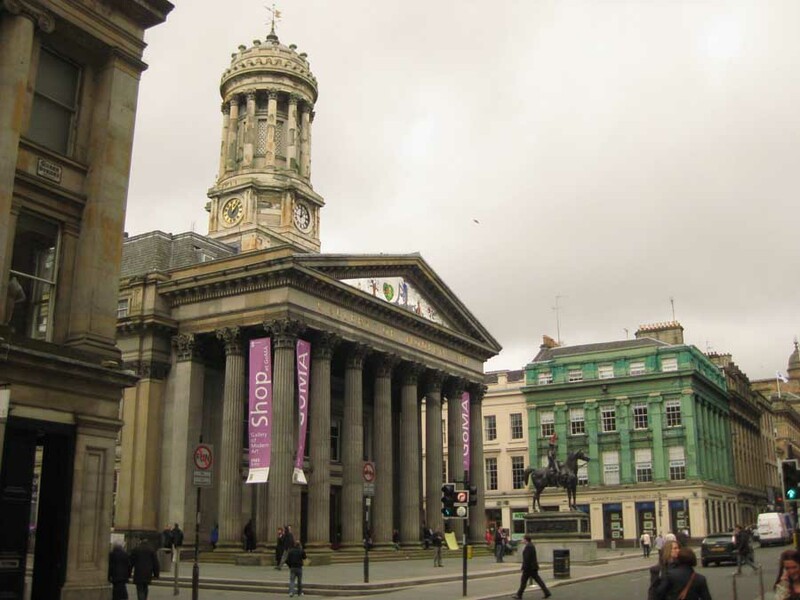 9 Jun 2014 – This seminar comes at a crucial time while we await the decision of Historic Scotland, and when two exciting proposals exist for the building’s re-use, one of which is a luxury hotel, and the other a market hall. The Press will be present at the event, and a high publicity value will be generated. A new grandstand and visitor centre for the Braemar Highland Games and eight affordable homes for Ballater were among the applications approved by Cairngorms National Park Authority (CNPA) last week. The Braemar Royal Highland Charity is behind the plans to demolish the existing West Stand overlooking the Princess Royal and Duke of Fife Memorial Park, which will be replaced by a new grandstand, incorporating a visitor centre, exhibition space, office, retail area and cafe. 7 Jun 2014 – A seminar jointly promoted by The Dundee Institute of Architects and the RIAS, exploring the Scottish, UK and international standing of this unique and threatened Edwardian building. Chaired by Neil Baxter, speakers are Gavin Stamp Hon FRIAS, Vivian Linacre and James Simpson FRIAS. The Scottish Fire and Rescue Service were honoured at tonight’s Scottish Design Awards for their heroic efforts to save the majority of the Glasgow School of Art’s iconic Mackintosh building and its contents after a fire in late May. 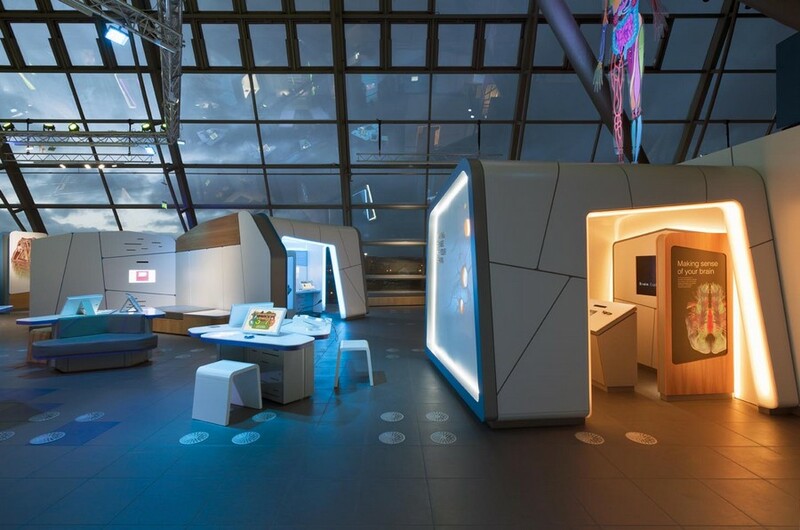 The annual event which celebrates the best in Scottish design saw Glasgow-based design consultancy Suisse take home the Grand Prix for its work with the Scottish Maritime Museum and Freytag Anderson crowned Design Agency of the Year. 3 Jun 2014 – Latest phase of Sanctuary’s Anderston regeneration completed. Collective Architecture has completed the latest phase of the Anderston Regeneration master plan in Glasgow. The project includes 44 flats, 5 town houses and a retail unit built on behalf of Sanctuary Housing Association. The £5.2m project forms part of efforts to restore the original street pattern of the inner city district, obliterated during comprehensive redevelopment in the 1960’s, by reinstating the original street edges and tenemental scale. Comprising of three monolithic brick clad blocks separated by lower zinc clad elements the scheme presents a robust face to Argyle Street with smaller scale town houses located to the rear. Fire crews are tackling a blaze at the A-listed Glasgow School of Art in the centre of the city. 23 May 2014 -Fire crews are tackling a fire at the A-listed Glasgow School of Art in the centre of the city, reports the BBC today. From the photos it appears the fire is in the west side of the building, we hope to report more information as it happens throughout the day. It is of concern that fire has spread from the basement to the roof, essentially fire damage might have occurred up the centre of the west wing, and smoke damage would most likely affect the entire building. 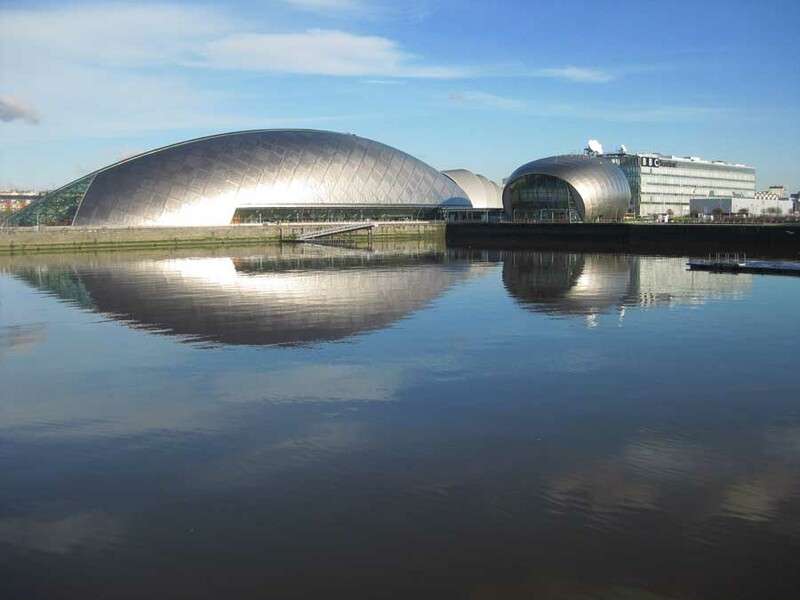 This is a world-famous building and we take regular architecture tours to see it outside and in, the key building in Scotland’s largest city. Wednesday 14th May 2014 – At a Ministerial Construction Summit this morning, Deputy First Minister Nicola Sturgeon MSP announced that the Scottish Government will implement the recommendations of the review of procurement in construction, carried out by Robin Crawford and Ken Lewandowski and published last October. The Royal Incorporation has continuously lobbied for changes to the, previously cumbersome, construction procurement regime in Scotland. In particular, the publication, Building a Better Future, from December 2011, which recorded the findings of the RIAS President’s Commission on Procurement (David Dunbar PPRIAS, Roy Martin QC Hon FRIAS, Linda Fabiani MSP Hon FRIAS, Prof. Malcolm Horner Hon FRIAS, Dame Barbara Kelly Hon FRIAS, Lord Maclennan of Rogart Hon FRIAS and Brian Stewart Hon FRIAS) highlights the many issues affecting potential employment of Scottish SMEs throughout the industry. Thanks to our readers we now have 200,000+ likes on e-architect facebook. We also now have over 300,000 followers across our social media channels including twitter (94,000), google+ and linkedin. Furthermore, the engagement on our facebook and twitter is much more active than all our direct competitors, our followers are natural (we don’t purchase ‘follows’) and our posts clearly resonate with them. This architectural resource, run from Scotland, but operating through a global network of writers and architecture tour guides, has grown to be one of the most successful built environment platforms in the world. 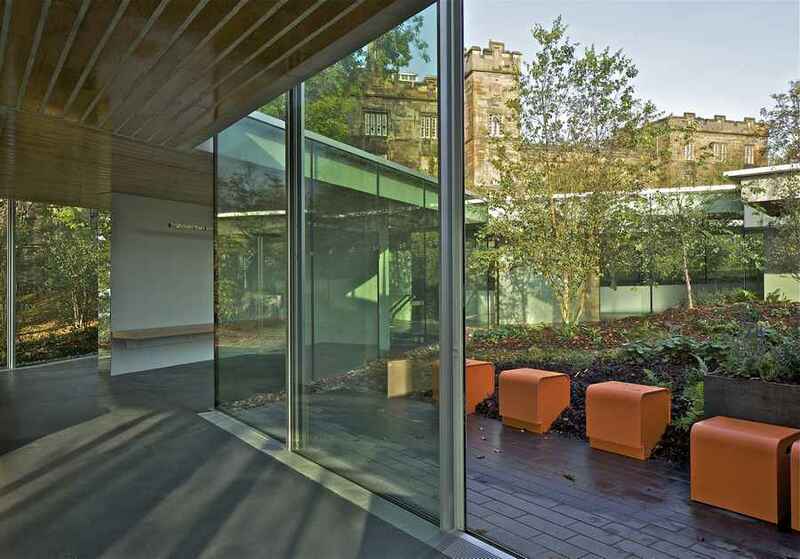 14 May – The University of Dundee has completed work on a new Archial Norr designed extension to its School of Medicine within the grounds of Ninewells Hospital. 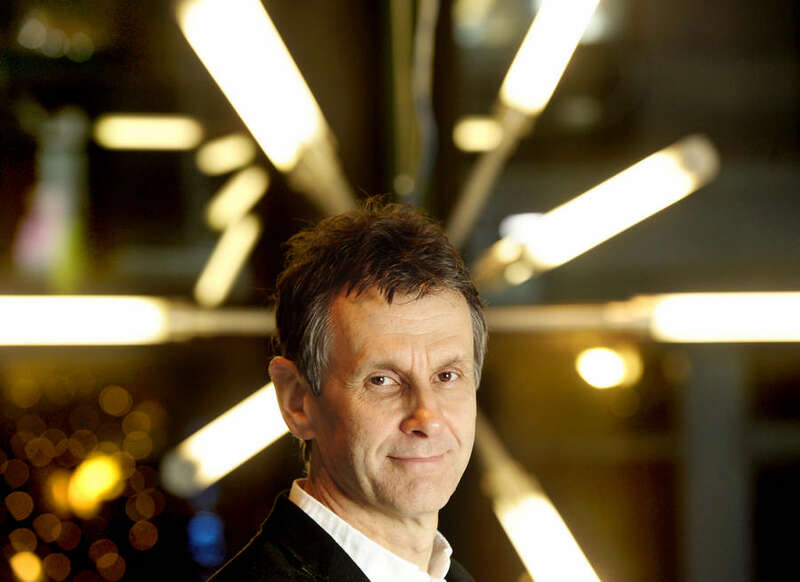 12 May 2014 – after 2.5 successful years of practicing under the banner of Edo Architecture Andrew McAvoy Chartered Architect, Glasgow, has established Assemble Architecture. More coverage is to follow in Septembers Homes and Interiors Scotland. A Heritage Lottery Funded Project combining a long wheel base chassis, a ghost house and some classic fairground apparatus. Andrew McAvoy performed the role of “Editor of transactions” for the Govan Fair Association and for the 2nd year produced this years Programme, in Govan on the 6th and 7th of June, where something of the traditional Fair is being resurrected. 12 May 2014 – Renowned award-winning artist Phil Collins has revealed details of his latest film project commissioned by The Common Guild. ‘Tomorrow Is Always Too Long’ will premiere in Glasgow’s Queen’s Park in July as a one-night-only free event and is the result of a year-long project which has seen Collins meet with local people in maternity hospitals, schools, community groups and social clubs asking them to sing songs, make predictions for the future, guide us though the city’s most famous prison and dance like there’s no tomorrow. Resulting sequences, filmed by the acclaimed cinematographer Michael McDonough, are accompanied by an imaginary public-access broadcast produced with a cast of Glaswegians from every walk of life to whom Collins opened the doors of a 1960s TV studio. From socially engaged pensioners to animal rights activists, from street poets to market sellers, from Elvis impersonators to elderly star-crossed lovers, they contributed a series of short programmes in different genres, some of which were scripted in collaboration with the award-winning writer Ewan Morrison. Fusing fantasy and reality and with stellar soundtrack contributions from Welsh pop-enigma Cate Le Bon, Mogwai’s very own Barry Burns, local voodoo ravers Golden Teacher and the esteemed Royal Scottish National Orchestra, ‘Tomorrow Is Always Too Long’ will take the audience on a journey into the heart of the city and beyond. Taking place on Saturday 19th July 2014 the new work will be presented across large LED screens set up in Queen’s Park’s Old Rose Garden, with views over the city and the surrounding hills. This memorable evening promises to be a night like no other and continues the park’s great tradition of public gatherings, from political protests to music festivals. The unique visual arts project is part of the Glasgow 2014 Cultural Programme, which is a partnership between the Glasgow 2014 Organising Committee, Glasgow Life and Creative Scotland through National Lottery funding. Programmed as part of Festival 2014, the project will be part of the massive Games-time celebration in Glasgow running alongside the sporting action. Awarded the Paul Hamlyn Award for Visual Arts in 2001, Collins was shortlisted for the Artes Mundi Prize in 2012 and the Turner Prize in 2006. His work is characterised by a close engagement with people and communities, reflecting on the status of the individual and the collective in our media-dominated society. Glasgow, where the artist has lived at different times, is a city rich in subcultural and popular histories, which he is drawn to. ‘Tomorrow Is Always Too Long’ follows a series of screenings of Collins’ previous films around Glasgow which have presented subjects such as former teachers of Marxism-Leninism from East Germany, a family of Kosovan Albanian refugees, fans of The Smiths across three continents and a group of anti-fascist skinheads in Malaysia. Tickets for the event are available from Wednesday 21st May 2014 through tomorrowisalwaystoolong.eventbrite.co.uk. All tickets will be posted out two weeks before the event. Please note, the film may not be suitable for under 14’s. The Scottish Cities Alliance has announced that Stirling is to benefit from new housing, sports facilities, motorway access and business premises as part of a major investment scheme. 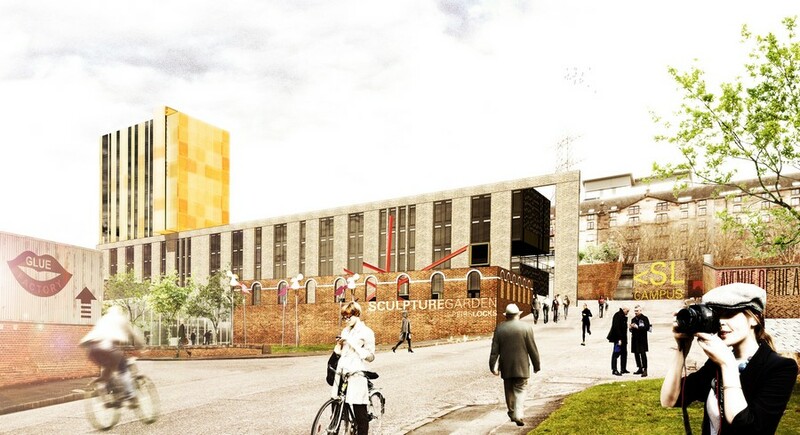 The Big Lottery Fund have backed a £5m plan to create a Commonwealth Games ‘Legacy Hub’ in the East End of Glasgow. The money will contribute to the building costs of the Dalmarnock Legacy Hub, which is being built next to one of the games venues. The Technology and Innovation Centre will bring together academics and partners from industry and business – from across the international scene – to develop solutions to challenges which are central to economic regeneration and to address key technological challenges faced by society. It is due to be open for business in 2014. Glasgow-based construction company City Building has welcomed the completion of £40m of refurbishment and rebuilding projects across 106 Glasgow schools, enabling the company to create more jobs and apprenticeships as well as boost the local economy. 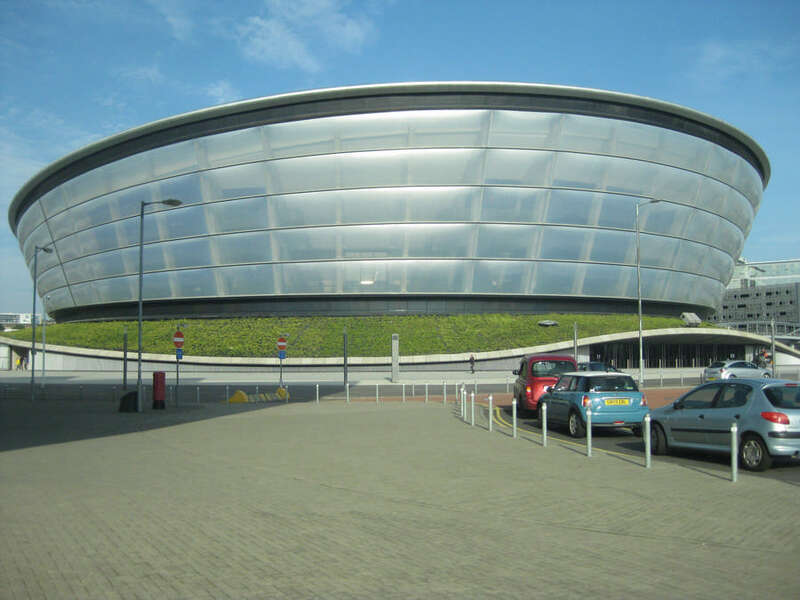 The multi-million pound works undertaken by the construction firm on behalf of Glasgow City Council include £20m expenditure through its supply chain using local Glasgow contractors who pay the Glasgow Living Wage and employ apprentices. Future phases of the programme will involve changing to energy efficient and LED lighting in some schools. Nineteen schools have been identified that will benefit from changing boilers and associated heating plant and twenty four schools have been identified for future roof insulation. A study commissioned last year by the Scottish Government to assess the progress of the Strategic Development Plan process and carried out by consultancy Kevin Murray Associates working with the University of Glasgow has called for a re-launched with a greater remit over transport, energy and waste functions. 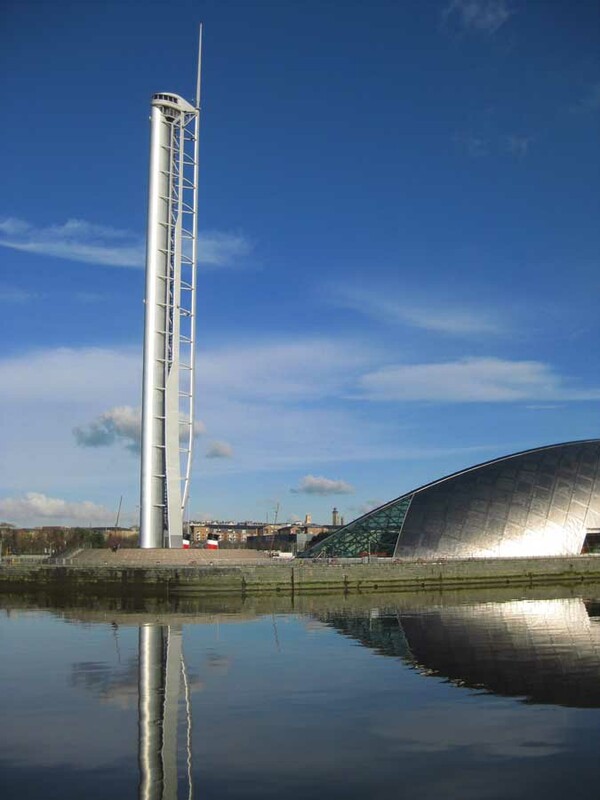 Scotland currently has four strategic development plan (SDP) authorities, created in 2009, focused on the country’s largest city regions – Glasgow, Edinburgh, Dundee and Perth, and Aberdeen. 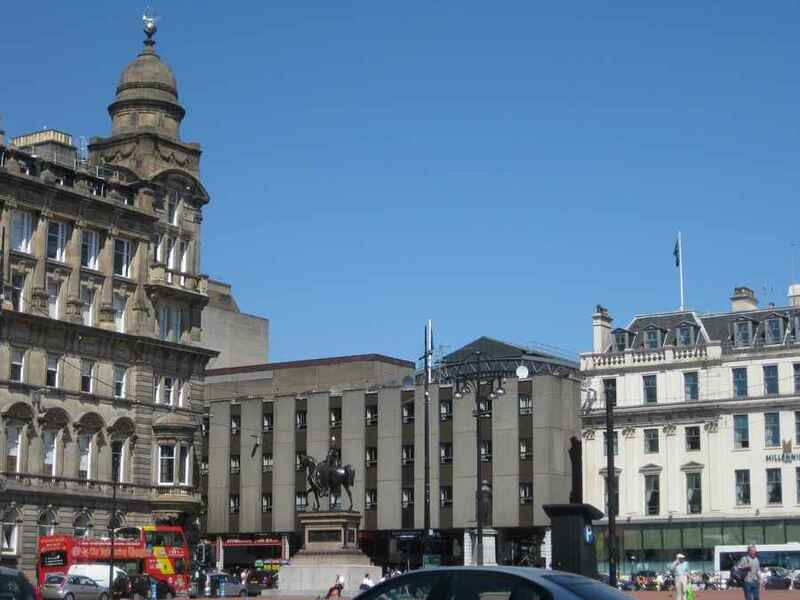 Maven Capital Partners has secured £7m of funding to deliver a new hotel development in Glasgow’s Merchant City. 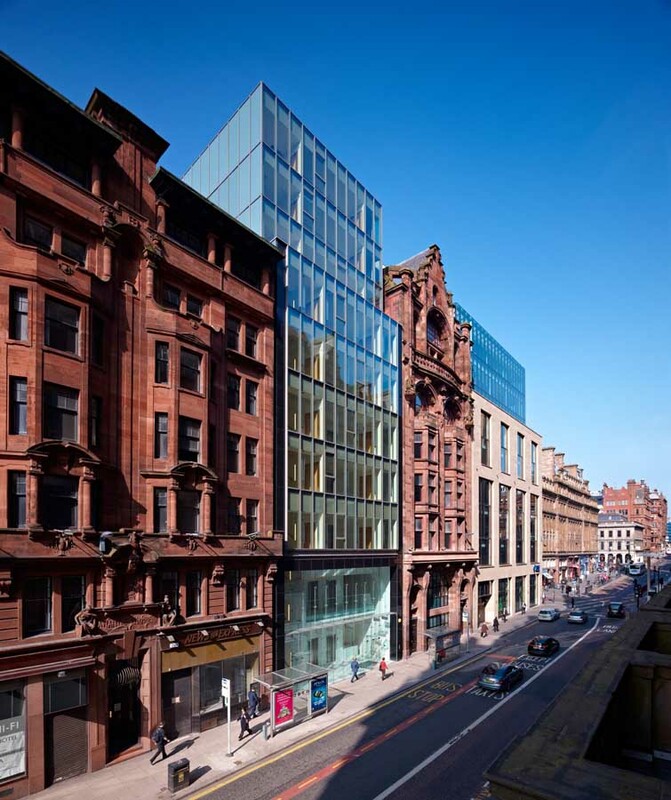 The Glasgow-based private equity firm said the funding scheme, utilising the benefits of the Business Premises Renovation Allowance (BPRA), will include the purchase of Telfer House, a currently empty office building. Maven said the building will be refurbished into a 96-bedroom ibis Styles hotel, which will be managed by specialist hotel management company, RedefineBDL. A derelict estate in Lanarkshire is the subject of a planned £50m regeneration project that would include luxury housing and a boutique hotel. 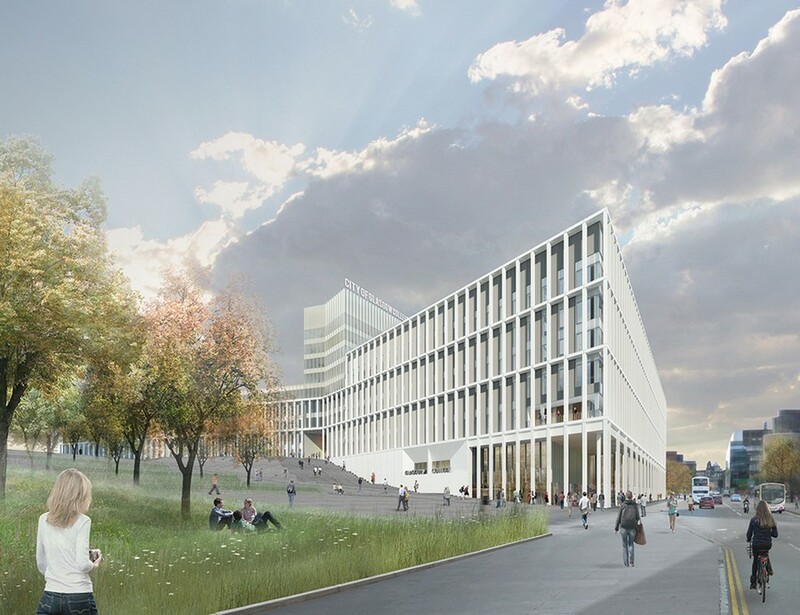 The University of Glasgow has launched a third round of engagement on the future development of its Gilmorehill campus by inviting the public to attend an exhibition in the John McIntyre Welcome Point at the Main Gate until 25 April. This will detail the place-making principles which will influence the institutions estate strategy for the area following acquisition of the Western Infirmary site, dubbed the ‘lower plateau’. 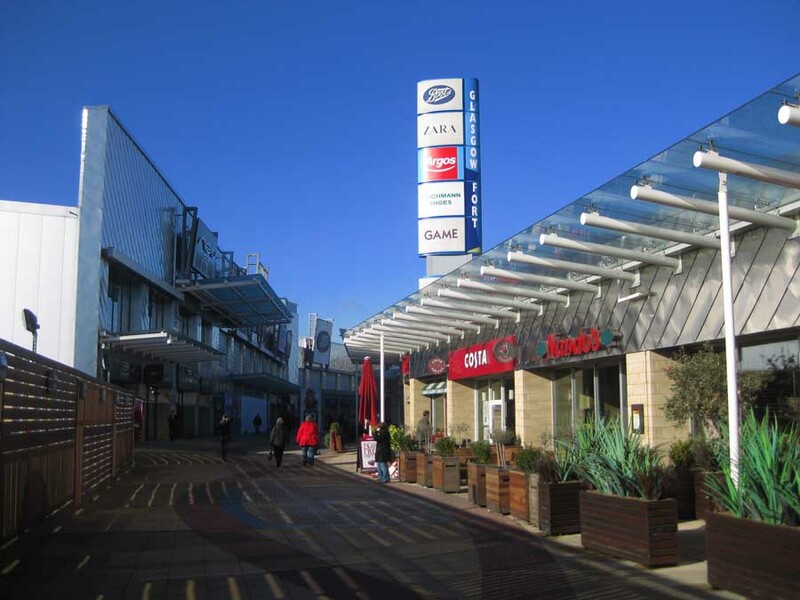 Construction work has commenced at the Glasgow Fort Shopping Park as part of a major development project. 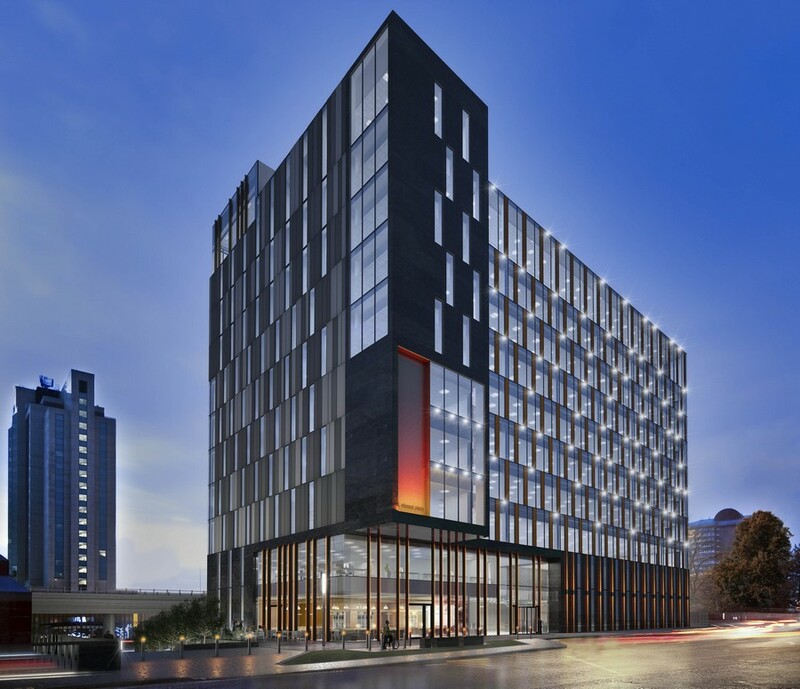 Managed by Kier Construction, work on the 112,000 sq ft development, designed by Cooper Cromar, is expected to take around 12 months to complete. The £45m investment will see a Marks & Spencer store take up residence at the southern side of the park, while four further retail units and a restaurant will also be created. In addition to the above, the Shopping Park has also submitted a Planning Application Notice to build a 600-space multi-storey car park. New York based architect Steven Holl and much of his office are in Glasgow to deliver the inaugural address for the Glasgow School of Art’s Reid Building, which officially opens its doors today. The Scottish Design Awards take place on Thursday 5th June at the Radisson Blu Hotel, Argyle St, Glasgow, dress code is Black-tie. 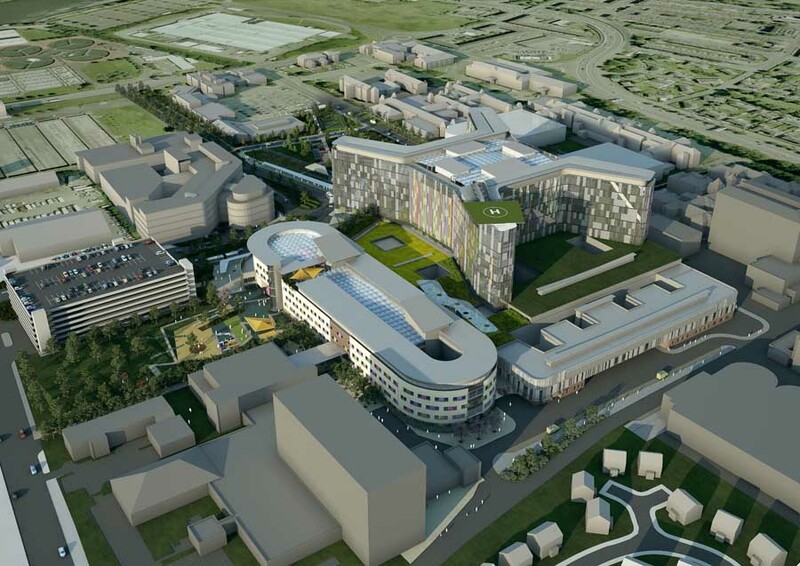 Glasgow City Council planners will today – 8 Apr – be asked to agree in principal to a planned £250 million transformation of the Sighthill area of the city. If approved, the project will result in the creation of hundreds of new homes, a school, shops and a new bridge over the M8. 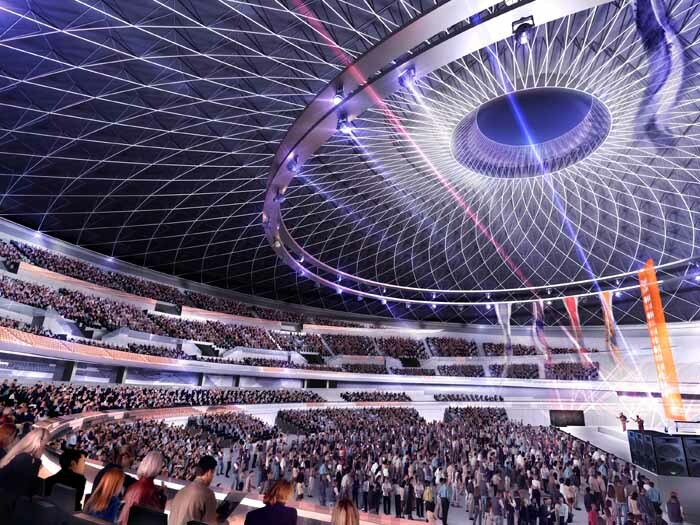 Council leader Gordon Matheson told the Evening Times: “The plans look tremendous and I look forward to the transformation of the area in the coming years. “One legacy of our Youth Olympic Games bid – which brought forward this project by two decades – will be the creation of a very attractive place in which to live, work and study. 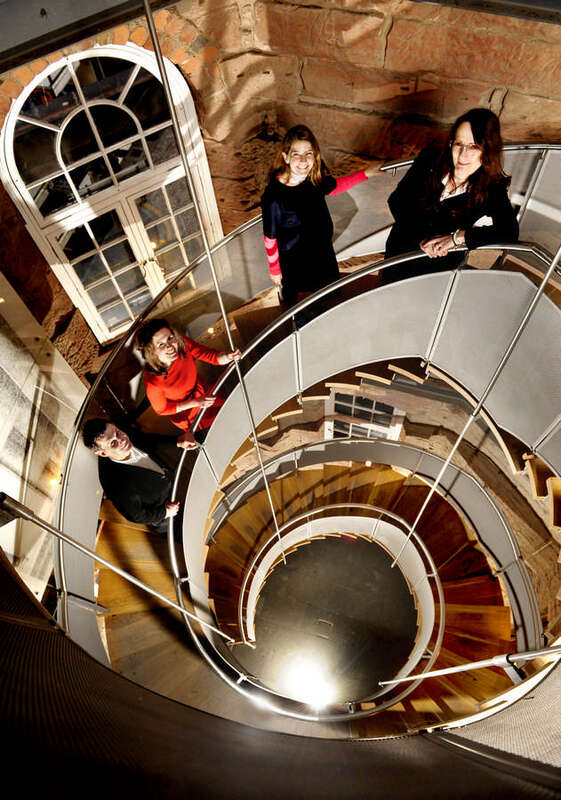 Glasgow Museums has the great honour of hosting the 2014 European Museum Academy Conference and Micheletti awards ceremony 24-26 April 2014. Platform 1 at Dalmarnock Station has now been finished by Atkins: this work completes the station as a whole. 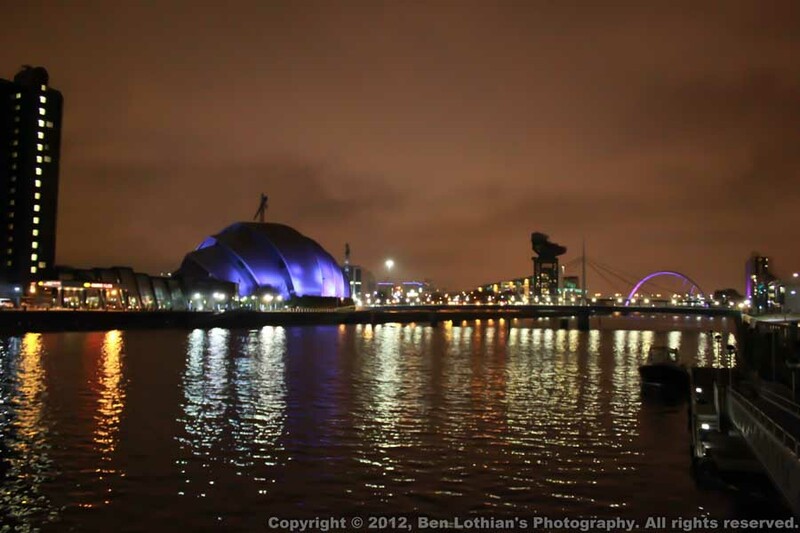 New photos of this East End building close to the Commonwealth Games venues. The Scottish Design Awards are closed for judging. The Scottish Design Awards are open to all Architecture & Design companies in Scotland, or those doing work for a Scottish Client. The Awards aim to highlight the best and the brightest stars in the Scottish design industry. What do readers think about this new use for one of Glasgow’s most beautiful and historic buildings? Is it a welcome breath of life or should a more universally public use be found? Shigeru Ban is the Pritzker Prize Winner in 2014.
must be sent to the council. If you haven’t already done so please email the council with your name and address and statement of objection. The application number is 14/00292/LBC and the address to send it to is developmentmanagement@pkc.gov.uk. An article by Neil Baxter of the RIAS appeared in the Press on the 13th of March and Margaretha Linacre handed in about 2,000 letters of objection to Perth and Kinross Council’s office in Kinnoull Street. Notre Dame Primary, in Havelock Street, in Glasgow’s west end, has been awarded the Civic Trust’s Special Award for Scotland. The awards took place in Blackpool, hosted by architect, writer and television presenter George Clarke. A date has been set for the application for Planning Permission in Principle for the Owenstown development project in South Lanarkshire. 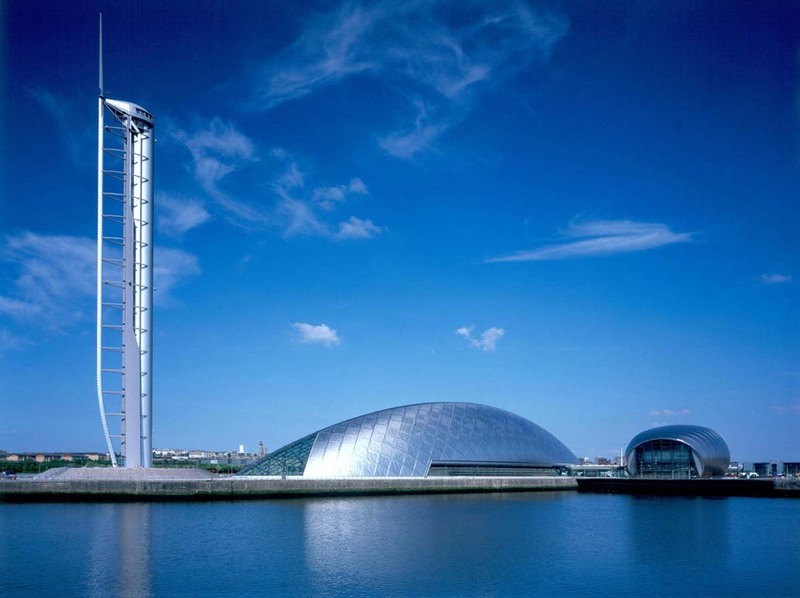 The best new commercial and public property developments in Scotland have been announced at the inaugural Scottish Property Awards 2014. 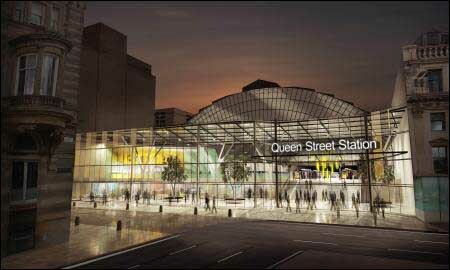 Network Rail has published updated visualisations of a planned £120m redevelopment of Glasgow’s Queen Street Station, with the project’s official launch on 25 Feb in George Square, reports Urban Realm. Public consultation has also started. The University of Strathclyde is in the midst of delivering an £4.2m refurbishment and extension of its John Anderson Building to provide improved facilities for its Department of Physics. Cairngorms and A82 in-line for second wave of Scenic Routes projects Young architects will be given the opportunity to develop ideas for a fresh batch of Scotland’s most arresting beauty spots after the Scottish Government committed a further £500k to its Scenic Routes initiative, reports Urban Realm. Work to transform historic Paisley department store into new housing begins Work to transform Paisley’s former Arnotts department store into 31 flats for shared equity or rent has begun in earnest with main contractor Westpoint Homes moving on site, reports Urban Realm. Sir David Murray’s firm has asked for more time to start work on a housing development next to his £5m golf course. He has fought a 20-year battle to build homes at the site in Newhouse, North Lanarkshire. He unveiled plans for the golf course, luxury homes, a country club, hotel and a leisure club but planning delays held up the development. The Torrance Park golf club, named after Ryder Cup hero Sam, was opened in 2009. However, building work on a development of 270 homes has never started. Permission for the homes was granted in 2011. Murray’s firm New Brannock Limited has said it is now in discussions with a developer about the homes. But it is not ready to proceed and planning permission for the £30m project has expired. Collective submit Lambhill regeneration plan Collective Architecture have submitted plans to develop the former Kingarth House, introducing 56 new homes on behalf of Loretto Housing Association. Architectural practice Keppie has strengthened its senior team with the appointments of Gordon Hood and Adrian Boot as directors of the business with immediate effect. Both bring extensive experience of delivering multiple higher and further education projects domestically and, during their time spent with RMJM, across various international assignments in North America and Asia. Gordon, who has recently been working on a consultancy basis, spent over thirty years with RMJM, initially in Edinburgh and then in the US as director of Global Education. During this time Gordon had extensive experience of campus development across the Ivy League estates including Yale and Princeton, before taking up the managing principle role with the practice’s Hong Kong operation. 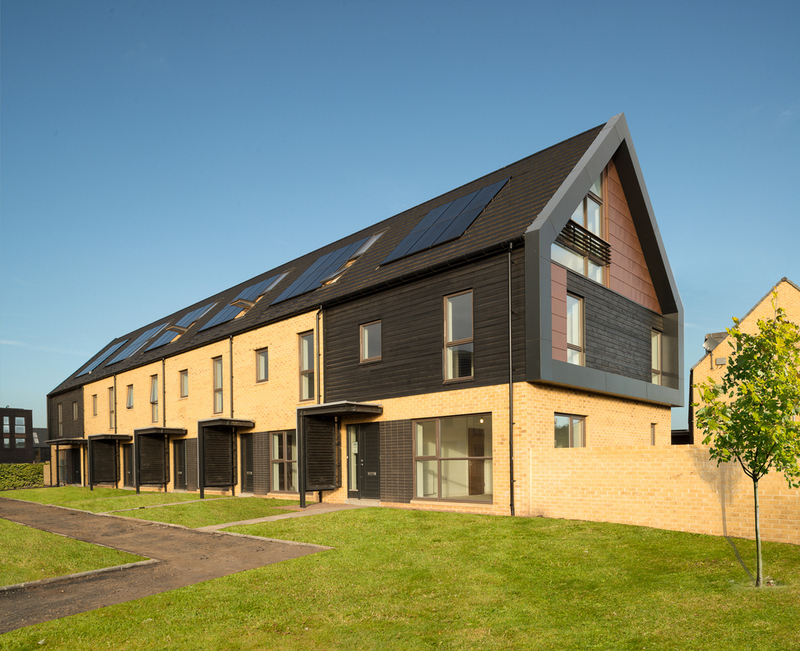 Scotland’s first purpose built anti-flood home: the dwelling of the future would have protective barriers, rapid drainage systems and flood doors all fitted as standard. The Scottish Government has been urged not to delay the implementation of the Sustainable Procurement Bill which is in the late stages of examination in the Scottish Parliament. A £60 m scheme to transform a site on Beith Street in Glasgow into a luxury student accommodation development has been given the go-ahead by planners. The project by developer Downing will accommodate 701 students and comprises two ten-storey buildings, set within generous landscaped gardens alongside the River Kelvin. Designed by architects, Falconer Chester Hall, the project will form part of the wider Glasgow harbour masterplan and is due to complete in time for new academic year in September 2015.
e-architect editor Adrian Welch will be speaking at this architecture event, alongisde architects such as Ken Yeang, Jo Noero, Odile Decq and Sanjay Puri, plus thinkers such as Juhani Pallasmaa. Adrian Welch works as a Senior Architect for Lewis and Hickey Architects in Edinburgh. William Quarrier Scottish Epilepsy Centre by Anderson Bell Christie – 16 Jan.
• Some additional images of the William Quarrier Scottish Epilepsy Centre by Anderson Bell Christie. Seven towns are to benefit from a £2.75m Scottish Government fund aimed at breathing new life into town centres. The money will be spent on converting vacant properties into affordable homes. • Clackmannanshire Council gets £782,000 to help develop 17 homes in Stirling Street, Alva. • Fife Council gets £764,000 for 18 properties at Cupar’s County Buildings. • Angus Council gets £200,000 to develop about four homes in Carnoustie High Street. • East Dunbartonshire Council gets the same amount for six homes in Townhead, Kirkintilloch. • Castle Rock Edinvar Housing Association gets £350,000 to help provide seven homes in Bridge Street, Tranent. • Kingdom Housing Association gets £255,523 for 14 properties at the former Crown Hotel in Crieff. • Clyde Valley Housing Association gets £150,000 for seven homes in Bank Street, Coatbridge. Businesses in Sauchiehall Street have approved a plan to help make a section of one of Glasgow’s most famous streets Scotland’s undisputed premier entertainment destination. 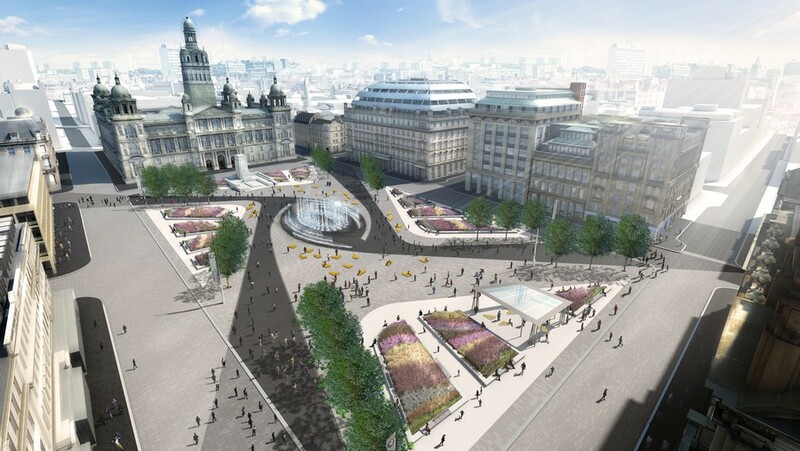 The city’s first-ever Business Improvement District (BID) will focus on the non-pedestrianised part of Sauchiehall Street from the junction with Rose Street and Blythswood Street to Charing Cross. A Glasgow architectural practice whose turnover has risen 30 per cent over the past two years has designs on more growth after becoming employee-owned. 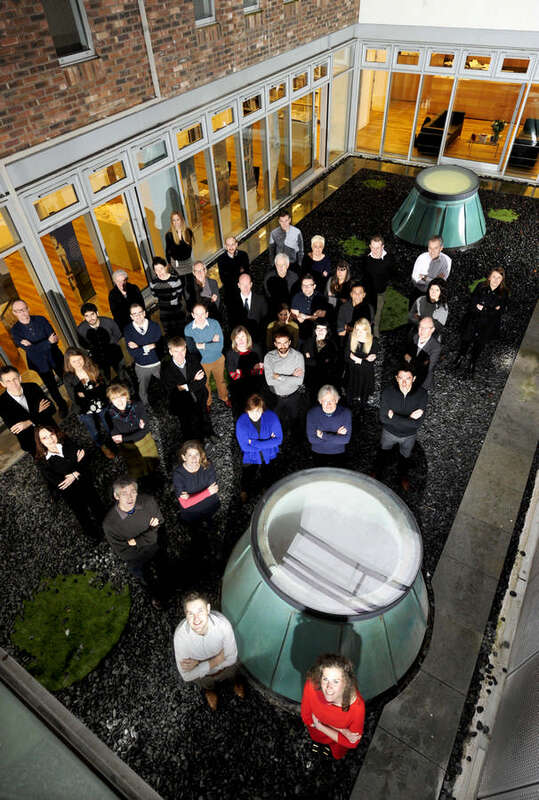 PagePark Architects – which employs 40 and now turns over £3.5m – has become employee-owned, 32 years after it was established by founders David Page and Brian Park in 1981. Councillors have voted in favour of demolishing the Perth City Hall after rejecting a rescue plan backed by Prince Charles. A £6 m proposal to convert the B-listed building, which has lain empty for eight years, into a food market hall was deemed “not financially viable” by Perth and Kinross Council. Although clearly difficult this is a regrettable decision. Councillors in Perth met on the 11th of December to discuss the demolition of the City Hall building. It comes after a sole bid to redevelop the unused category B listed structure as an indoor food market was rejected by Perth and Kinross Council. The local authority announced in 2011 that they were minded to demolish the Edwardian building and create a new civic square in its place. However, their plans were rejected by Historic Scotland in 2012. The highest quarterly lending level in Scotland since mid-2008 was recorded, as an increasing number of borrowers took out a mortgage loan for house purchase in the third quarter of 2013, new CML data shows. 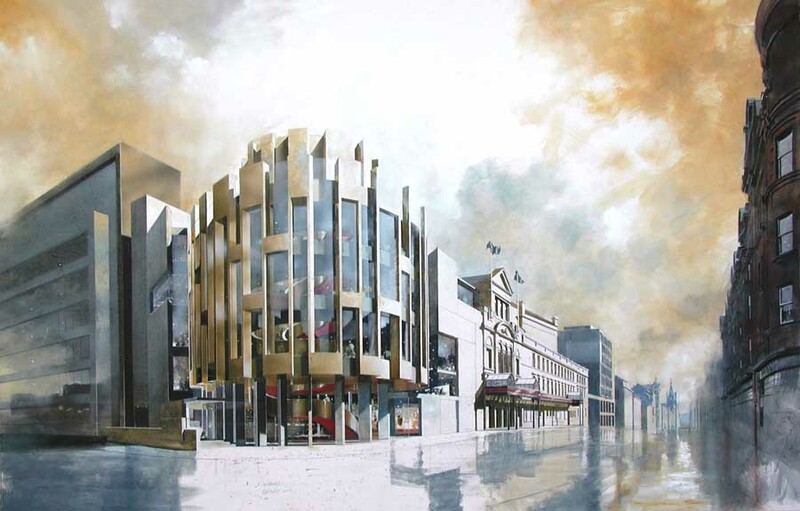 A campaign to raise funds to transform the Theatre Royal Glasgow has passed the £12m mark. The first major project by Alan Dunlop, his first Scottish building design since the break up of gm+ad architects. Pictured above is one of the 700 EcoHome Excellent properties that form the Athletes’ Village. Work is about to get under way on two major regeneration projects on Barrhead Main Street. East Renfrewshire Council will begin work on Monday on the £3.8m Barrhead Foundry, which will see the current Barrhead Sports Centre transformed into a community hub. 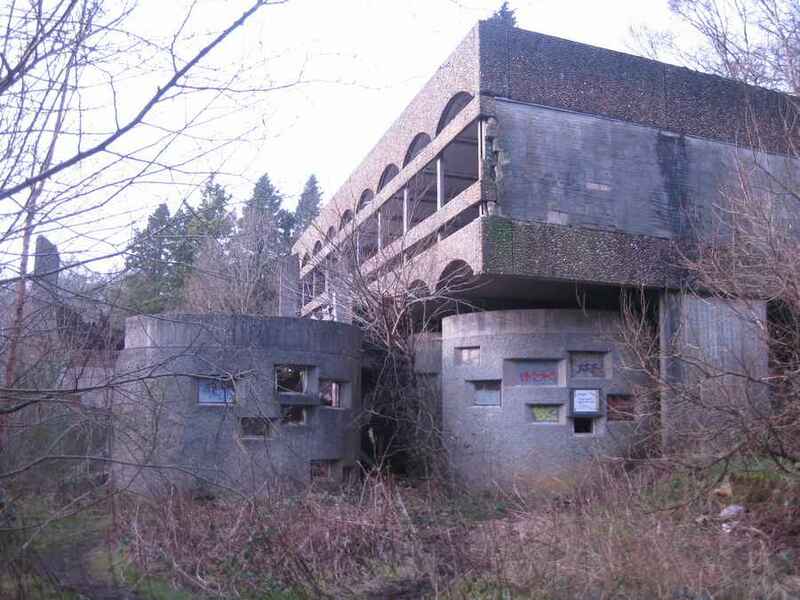 The planning application has gone in for the landscape-led regeneration of the ruined St Peter’s Seminary at Kilmahew in Cardross. 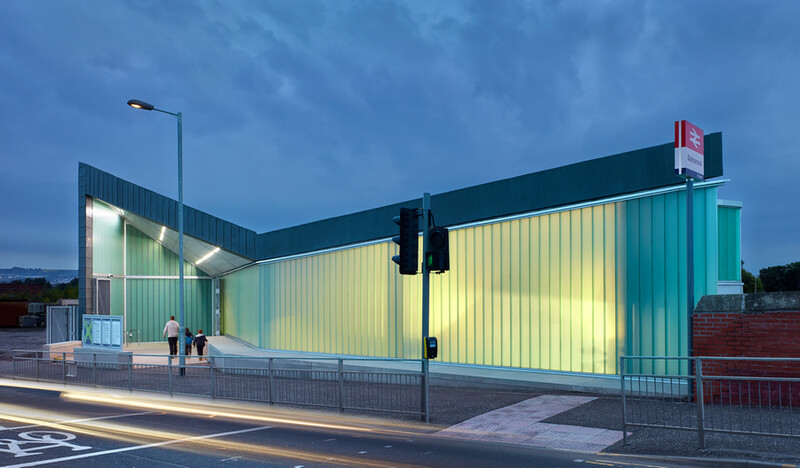 8 Nov 2012 – Maggie’s Gartnavel in Glasgow by Dutch architects, OMA, has been awarded the RIAS Andrew Doolan Best Building in Scotland Award 2012. The building was selected from a shortlist of 14 projects. 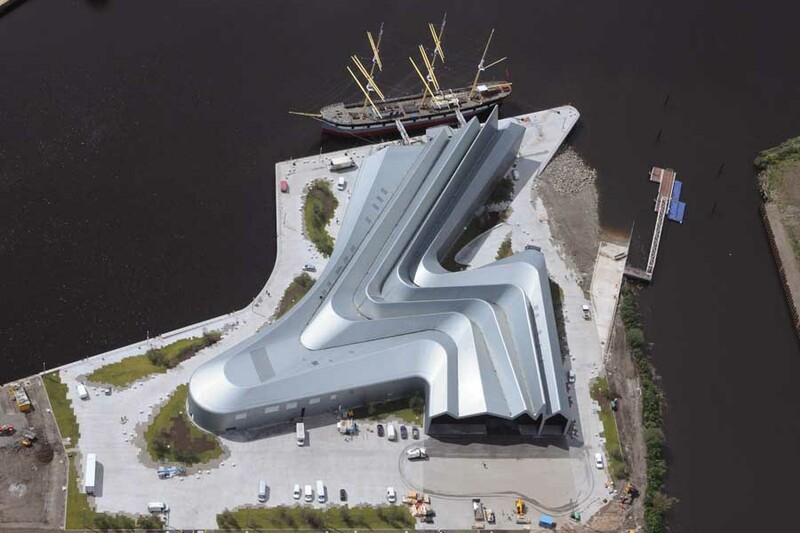 Riverside Museum by Zaha Hadid wins 17th annual Micheletti Award.